This is a guest post by Justine of Wanderer of the World. One of the biggest, and most romantic attractions in Iceland, is the opportunity to witness the Northern Lights (Aurora Borealis) first-hand. You won’t always be able to catch a glimpse of the lights here – sometimes, they’re not active enough or the sky is too cloudy. But if you keep an eye on real time Northern Lights forecasts, and if you’re lucky enough to hit an active rating of 4 or higher, then you will most definitely be in for a magical evening. My recommendation would be to rent a cabin out in the Golden Circle to increase your chances of seeing the lights, or rent a car so you can escape into the countryside whenever you can. Remember to take a blanket, flask of tea or hot chocolate, plus some biscuits or other sweet snacks with you. Nothing says romance better than cuddling with your other half, whilst watching the Northern Lights dance overhead. 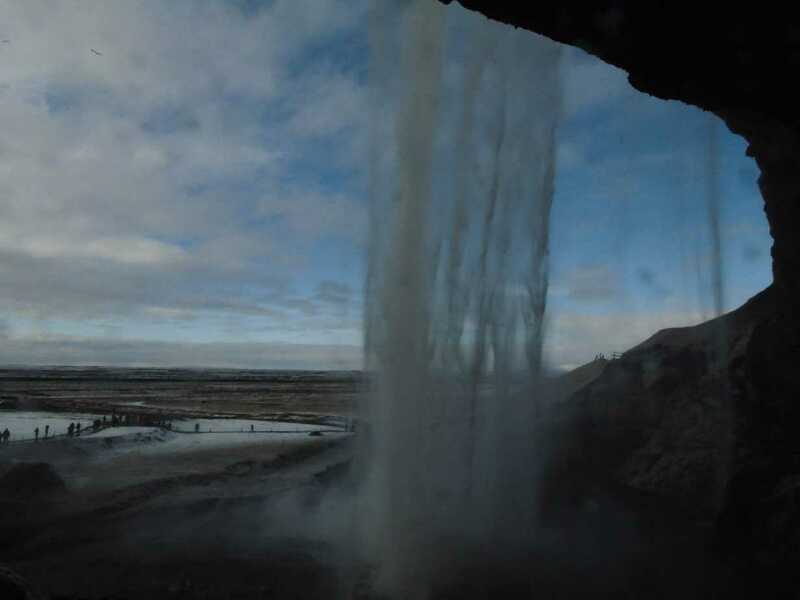 Check out a list of even more things to do in Iceland here. 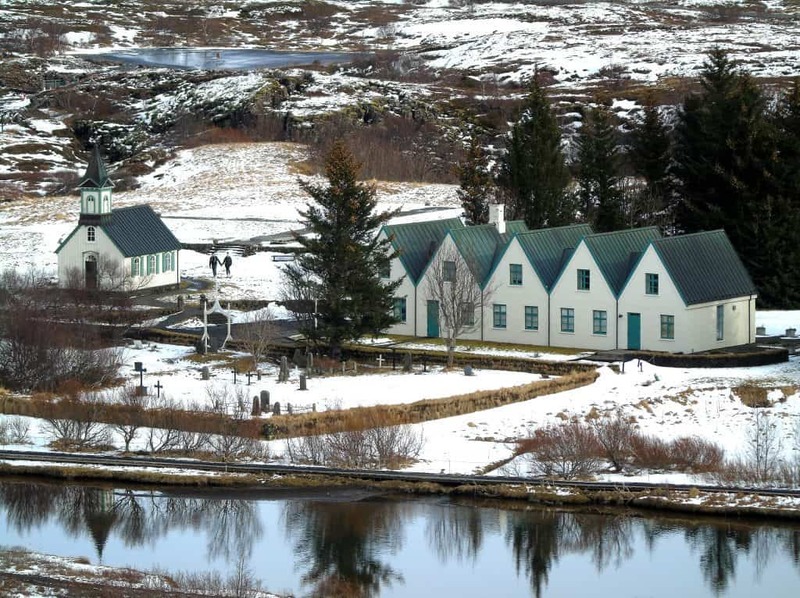 One of the most incredible sights to see in romantic Iceland is definitely Þingvellir (Thingvellir) National Park. From gushing waterfalls, to glistening lakes, to towering mountains, it’s easy to see why this place has been a World Heritage Site since 2004. I’ve always found that hiking with your other half is an excellent way to get to know them better – it’s easier to strike up conversations with so much beauty and with icebreakers all around you. You can easily spend several hours hiking out here, which is a lot of conversation and hand-holding. Whilst you’re here, look out for various waterfalls dotted around the place; some of which are so clean, you can actually fill up your water bottles with them. 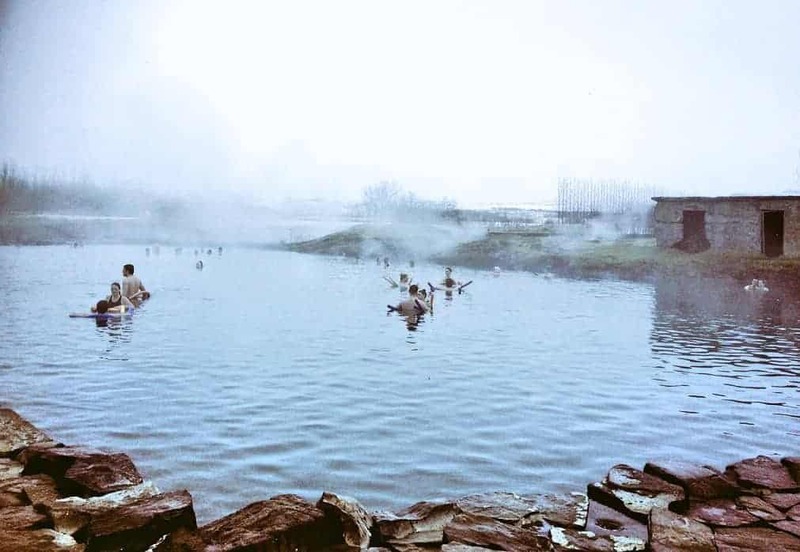 Icelanders have been relaxing in hot springs for hundreds of years, making this a must for anyone intent on experiencing the best of what Iceland has to offer. Most travellers will head to the Blue Lagoon as it’s the most famous of all the hot springs, but I much prefer a quieter experience (especially when travelling with my other half). 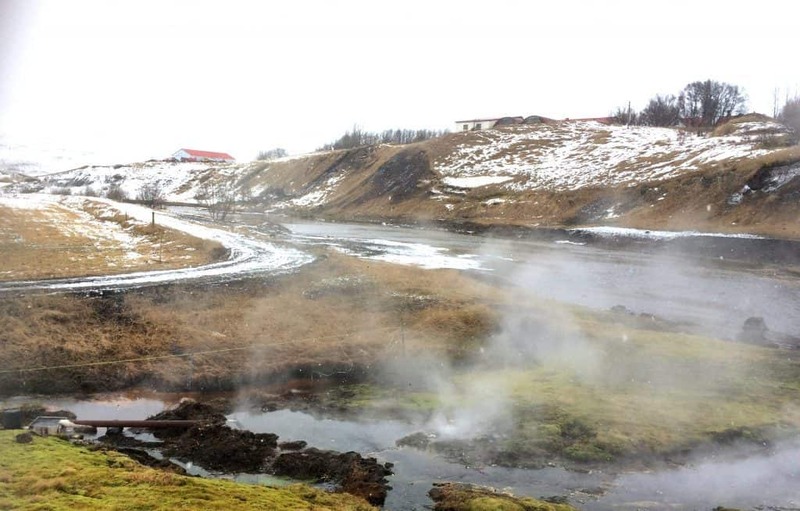 The Secret Lagoon spa is located in the Golden Circle, and you’d never know it was there unless you knew about it before visiting (it’s not signposted after all). Although it’s a manmade pool, it’s powered by completely natural hot springs dotted around the outskirts of it. These springs gush out piping hot steam across the spa, which also helps to make this feel a lot more private. With all of the steam around, you can barely see a few metres ahead of you, let alone to the other side of the pool. Plus, when we visited in March, it was even beginning to snow, which made the whole experience totally special and unique! Maybe you and your partner will also be so lucky? Throughout Iceland, you’ll spot hundreds of Icelandic horses, which is akin to seeing England’s New Forest ponies. It’s marvellous to be able to pull the car over and stroke them. This not only makes for a special photo with your beau, but also makes you feel all warm and cuddly inside as you stand there, petting these beautiful animals. There are an incredible amount of waterfalls in Iceland, but one of the most fun and unique things you can do is walk behind some of them. Seljalandsfoss on the South Coast is quite easy to walk behind, although it can get icy during the Winter. Yes, you’ll get wet walking behind it, but you will have a lot of fun seeing the waterfall from a different angle, hand in hand with your partner. Plus, you can have a giggle at how ridiculous you both look soaked through, whilst warming each other up afterwards! If you’re able to rent a car out in Iceland, I’d highly recommend seeking accommodation away from the capital city of Reykjavik. There’s a couple of reasons for this: not only will you significantly increase your chances of seeing the Northern Lights during your stay, but you will also likely have a private hot tub right outside your cabin! Icelanders really seem to love soaking in hot water, which is great news for you and your other half. Just imagine relaxing in your own hot tub, drinking Prosecco, whilst a sunset glows in front of you, swiftly followed by the Northern Lights and thousands of stars above you… heaven! Okay, so this isn’t going to be for every couple out there. But I really can’t think of a more magical setting to pop the question. Just imagine snow-topped mountains in the distance and no-one around to spoil your moment. 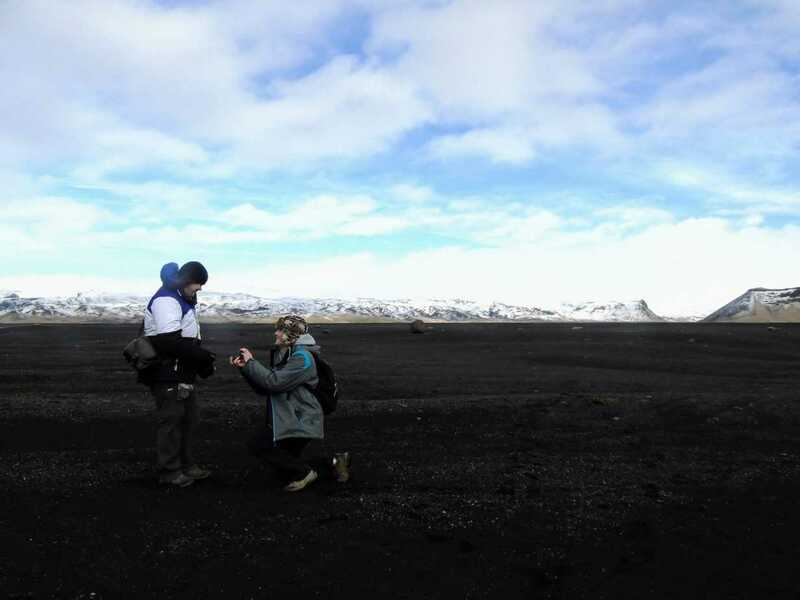 That is what a proposal in Iceland can offer you. How do I know? Well, this was where I got engaged! Thinking about it now, I just love how beautiful and peaceful the setting was, and so I would most definitely recommend many places in Iceland as good proposal spots. And if you’re wondering, my other half and I got engaged at Sólheimasandur black sand beach. Ready to plan an Iceland romantic getaway for two? Author Bio: Justine Cross is the brains behind travel blog, Wanderer of the World, which focuses on soft adventure travel and unique experiences with a few misadventures thrown in for good measure. Justine’s love for Iceland was instant, and she is already planning another trip there in early 2018 with her fiance, Scott. Whether you’re heading off to honeymoon in Iceland or you’re simply looking for a romance-filled stay, here is a handful of the best places to stay in Iceland for couples. For more options, check out a wide range of hotels in Iceland. Some of the most romantic spots are the most secluded. The Brimnes Cabins are cozy and intimate, boasting incredible views. Here’s a sleek & modern hotel that offers views, proximity to Thingvellir National Park, and–best of all–a phenomenal outdoor spa. With a fantasy-tinged name like Frost & Fire, it’s no surprise this place is one of the most romantic hotels Iceland has available. The homey feeling is enhanced with the outdoor spas and full breakfast. My partner and I are planning to go to Iceland next year. I will definitely be taking your advice into account! fabulous! It is such a popular place right now!